The North Coast Hiawatha was an Amtrak train inaugurated in the early 1970s to complement the highly popular former Great Northern Empire Builder between Chicago and Seattle. While the train was meant to run the Northern Pacific's former route of the North Coast Limited its true inspiration ironically came from the Milwaukee Road's fleet of Hiawathas, one of which used to operate to and from the Pacific Northwest, the Olympian Hiawatha (ultimately, Amtrak had good reason not to use Milwaukee's tracks at the time). The train ran for nearly 10 years before budget cuts forced Amtrak to trim down its fleet with and the North Coast Hiawatha became a casualty of such. However, in recent years there has been a push to see the train restored due to the incredible scenery of the corridor with both studies done and even a website attempting to help revive the route. To date, however, no action has been taken, mostly due to costs. Northern Pacific's North Coast Limited operated a more southerly routing over its counterpart the Builder connecting cities such as Fargo, Helena (and most of southern Montana), Spokane, and Seattle. The train dated all of the way back to April 29, 1900 although it truly came of age in 1948 when it was equipped with new, lightweight streamlined equipment and regal livery of two-tone green. The NCL survived until the final day of passenger operations prior to Amtrak on April 30, 1971. The new national carrier, operating on a strict budget initially canceled the train and opted instead to retain only the Builder on the Seattle-Chicago corridor. However, that June Amtrak began operating another section of the Builder on a more southerly route as mentioned above, essentially the same as the NCL had operated. This was in response to Montana senator Mike Mansfield who wanted Amtrak to serve the state's southern cities since the Builder operated so far to the north over the former Great Northern main line. When Amtrak released its first official timetable on November 11, 1971 it gave this train its own name, the North Coast Hiawatha. 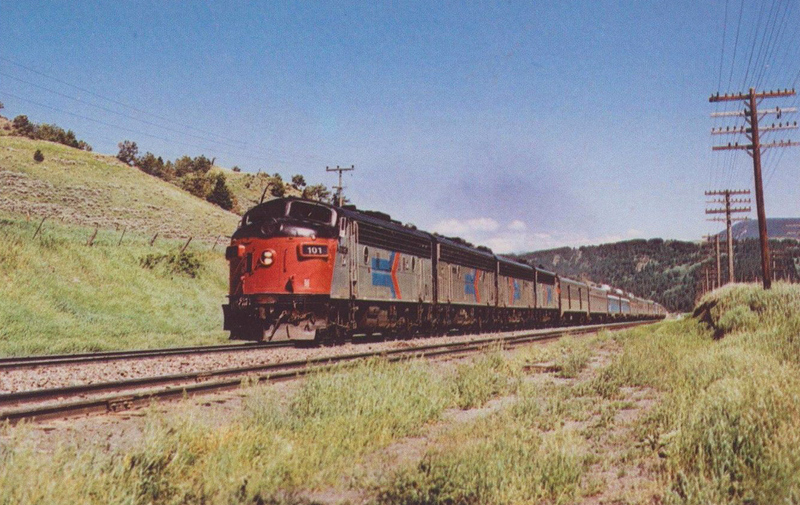 Curiously, while the train's was based from the Milwaukee Road's once-popular fleet of Hiawathas although its transcontinental Olympian Hi had been canceled since May of 1961. Additionally, during this time the Milwaukee's Pacific Coast Extension was still in service and also in good working order with track speeds typically capable of 50 mph or greater. However, Amtrak used the former NP main line, which roughly paralleled the Milwaukee's. While Amtrak had to detour the North Coast Hiawatha a few times over the Milwaukee Road it was a rare treat for passengers to experience the scenic panoramic views afforded by the railroad's legendary route. Of course, during the latter 1970s the carrier was certainly justified in doing so as the Coast Extension became an operational headache with deferred maintenance resulting in 10 mph slow orders over much of the line west of Montana. During the final years of the North Coast Hiawatha's service it had to briefly detour over the route in Washington State and was fondly remembered by those who were able to experience the event. During the Hiawatha's first two years of service the train had an interesting schedule: three times a week it operated between Chicago and Spokane and combined with the Builder westward into Seattle; the other days of the week the train did not reach Chicago and terminated at Minneapolis. 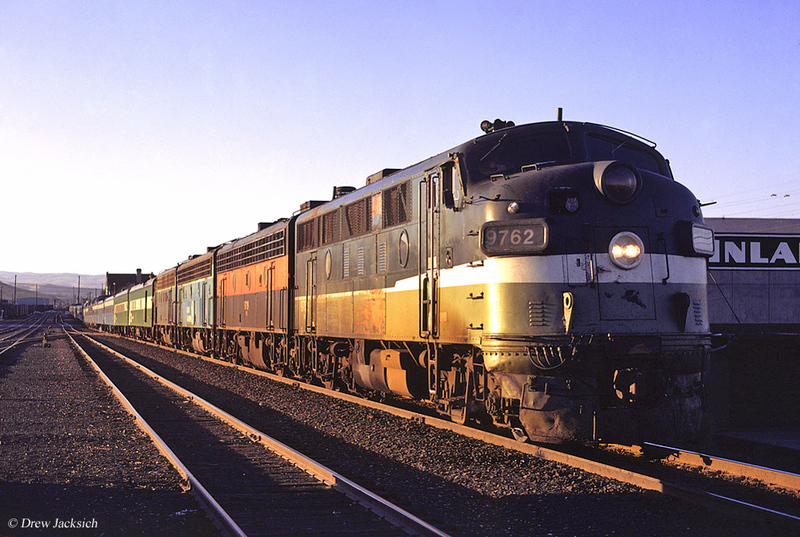 This shortlived and odd scheduling ended on April 29, 1973 when Amtrak began operating the train between Chicago and Seattle seven days a week, using the ex-GN west of Spokane. Despite the fact that the Builder ran the same corridor the Hiawatha still saw relatively good ridership. The train was also hampered by poor equipment, hand-me-down cars from the railroads that was usually worn out and in need of major repairs that were beyond the financial means Amtrak had at the time. Power was usually provided by tired, but reliable, E8s or E9s (the latter of which were ex-Milwaukee Road) that also had been given to the carrier. 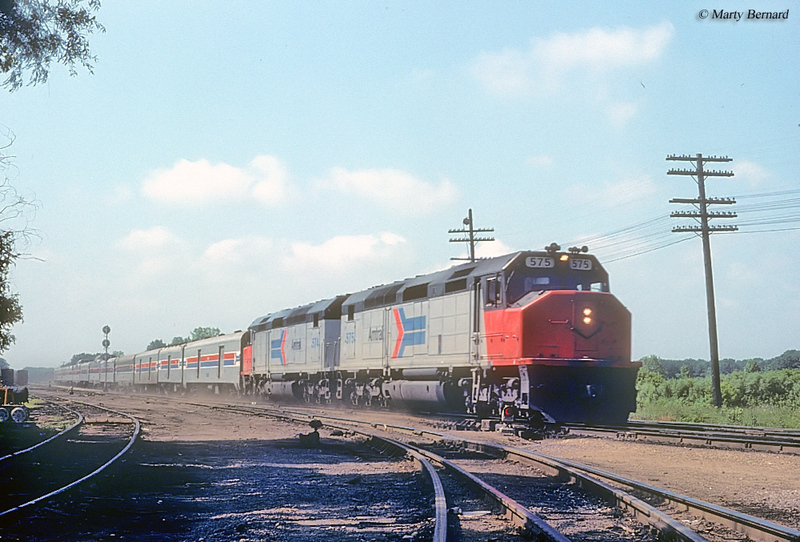 In 1973 new SDP40Fs began arriving that Amtrak had purchased as its primary power across its system. However, these SD40s, retrofitted for passenger service, proved problematic and prone to derailments at higher speeds. As a result they were plagued with slow orders and eventually replaced later that decade by much more reliable F40PHs. A regular consist during the train's early years was a mixture of Burlington Northern green and sky blue cars, including up to four domes per train (thus the strong ridership). During the last years of the North Coast Hiawatha's service it was updated with some newer equipment Amtrak had purchased, notably Amfleet cars, which were intermixed with the ex-BN cars. Unfortunately, as Congressional budget cuts forced Amtrak to begin cutting down its routes to eliminate a growing debt the North Coast Hiawatha was a casualty of this with the final train running on October 6, 1979. Interestingly, in recent years there has been talk of reviving the train although Amtrak has suggested that it would cost nearly $1 billion to fund such an idea. To check out the website hoping to draw attention to the North Coast Hiawatha's revival please click here.